ABOVE: Emma Gonzalez of Marjory Stoneman Douglas High School has become one of the faces of the new gun reform movement. The Human Rights Campaign and the National LGBTQ Task Force are among a large number of LGBT advocacy organizations and LGBT activists expected to participate in a March 24 demonstration in the nation’s capital against gun violence. The March For Our Lives, which was initiated by student survivors of the Feb. 14 school shooting in Parkland, Fla. that claimed the lives of 17 people, is expected to draw hundreds of thousands to the Washington march and at more than 100 regional marches expected to be held across the country and abroad. “On March 24, the kids and families of March For Our Lives will take to the streets of Washington, D.C. to demand that their lives and safety become a priority and that we end gun violence and mass shootings in our schools today,” a statement on the event’s website says. Organizers say a key component of the event will be a call for Congress and state legislatures to strengthen the nation’s gun control laws. Although the event is being billed as a “march,” spokespersons for D.C. police and the National Park Service have said organizers of the March For Our Lives have stated in their permit applications that the event will consist of a large rally on Pennsylvania Avenue, N.W., between 3rd and 12th streets, N.W. “We are not aware of any plans for a march or a demonstration at the White House, but the organizers would be the best source for that information,” said D.C. police spokesperson Sean Hickman. Hickman was responding to an inquiry from the Washington Blade about unconfirmed rumors that participants of the event planned to march past the White House. The March For Our Lives website doesn’t include a phone number, and the Blade couldn’t immediately reach a representative of the event for comment. Shortly after students at Marjory Stoneman Douglas High School in Parkland, Fla., where the school shooting took place announced plans for the Washington march, the nonprofit group Everytown for Gun Safety founded by former New York Mayor Michael Bloomberg announced it would provide financing and logistical support for the event. A representative of the group didn’t immediately respond to a message from the Blade. 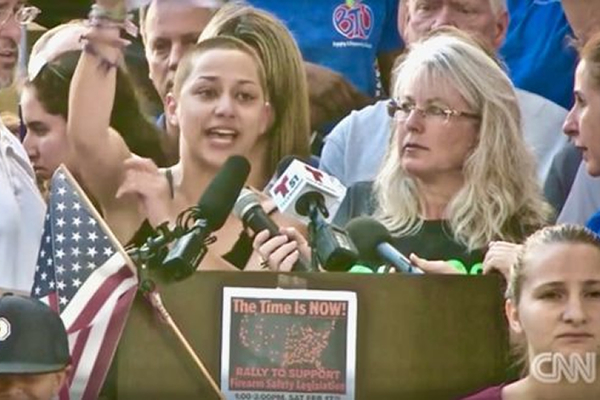 Among the Stoneman Douglas High students who have emerged as vocal advocates for strengthened gun control laws is junior Emma Gonzalez, who also serves as president of her school’s Gay Straight Alliance Club. Impassioned pleas by Stoneman Douglas High students for action by Congress and state legislatures for stronger gun control laws prompted a number of Hollywood celebrities, including Oprah Winfrey, George Clooney, and Steven Spielberg, to pledge hundreds of thousands of dollars in contributions for the march and efforts by the students for strengthened gun control legislation. Alex Morash, a spokesperson for the D.C.-based National LGBTQ Task Force, said the Task Force has endorsed the March For Our Lives and the group’s staff and volunteers will be participating in the event. 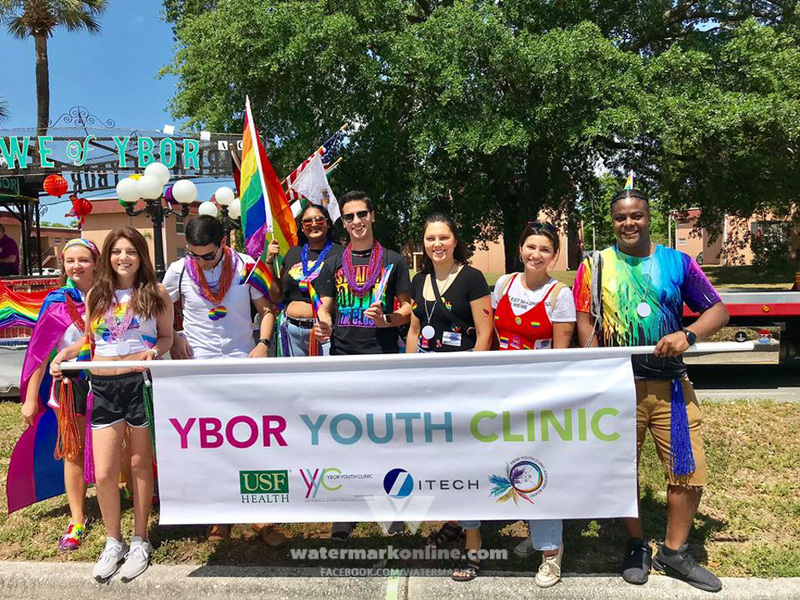 “The proliferation of gun violence in America is an LGBTQ issue – we saw that so painfully with the loss of 49 queer lives at Pulse Nightclub,” Morash said. “And we are repeatedly horrified by these frequent mass shootings, but we also know that the conversation about America’s gun problem doesn’t end there,” he said. “It’s time to reevaluate the role of guns in America, and we at the National LGBTQ Task Force are cheering on the efforts of the Parkland survivors, and we are with them in support of their efforts to ban assault weapons and close background check loopholes,” he said. Chris Sgro, communications director for the Human Rights Campaign, the nation’s largest LGBT advocacy organization, said HRC’s annual Equality Convention in Washington had been scheduled months earlier for the weekend of the March For Our Lives. He said as soon as HRC learned about the march it made plans for the more than 100 people expected to attend the Equality Convention to take part in the march. Among other things, he said a group of survivors of the Pulse shooting will be leading an HRC contingent that will march from the HRC headquarters at 17th Street and Rhode Island Avenue, N.W. to the site of the March For Our Lives rally on Pennsylvania Avenue, N.W. “We are incredibly appreciative for the leadership that Parkland students are showing over the long needed battle for gun control,” Sgro said. 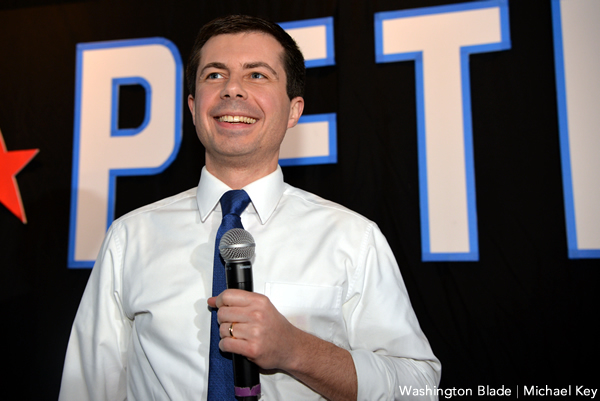 “And as soon as we learned about this march we knew it was incumbent upon us to find a way to harness our 100 plus folks here and their energy into this critical day of activism,” he said in referring to the HRC Equality Convention. Joanna Cifredo, a spokesperson for the Gay, Lesbian, and Straight Education Network, which advocates for LGBT youth in the nation’s schools, said GLSEN is pleased that young people are taking the lead in demanding that their elected officials make school safety and gun law reform a top priority. “We are hopeful that the March For Our Lives will serve as a wakeup call to our nation’s leaders that too many lives have been lost to senseless gun violence, too many children live in fear of going to school, and too many parents have mourned the loss of their young,” Cifredo said. Among the local D.C. LGBT groups that plan to participate in the March For Our Lives are the Gay and Lesbian Activists Alliance and the D.C. chapter of Gays Against Guns. John Becker, GLAA’s vice president for political affairs and a member of the D.C. Gays Against Guns, said the two groups support the objectives of the March 24 demonstration. “GLAA stands with the majority of Americans who support common-sense reforms to our nation’s gun laws that would help prevent firearms from getting into the wrong hands and get weapons of war out of our schools and off our streets,” Becker said. “We support D.C.’s gun control law – one of the strongest in the country – and we strongly oppose any attempts by Congress to interfere in the District’s self-governance in this or any other matter,” he said.